This mix offers bold and intense flavors from spicy greens to citusy herbs. 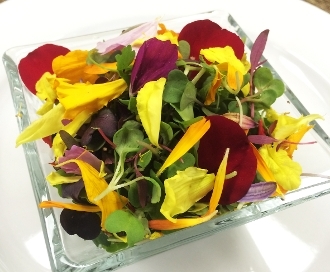 Our Micro Harvest Mix™ topped with our colorful flower petals (confetti). Only available in 4 oz.